Online poker players can fall into four classifications of playing styles defined by how they bet and their frequency of play. When you listen to people discussing how online casino poker players play, most likely you hear terms such as passive, aggressive, loose or tight. We are going to look at the meaning of each of them. An aggressive player raises or bets a lot and practically never call or check. On the other hand, a passive player is one who usually calls and checks. They typically respond to raises and bets by calling and occasionally raise or re-raise. A tight player uses a few hands, and he folds a great deal. On the other hand, loose players play many hands, and you always see them in operation. Aggressive and tight players bet aggressively and play considerably fewer hands, relatively calls or checks. This playing style is well-known as the most successful playing style in online casino poker. With a beginning hand selection that’s tight, these players maximise their chances of pulling a win on the flop. Raising and betting aggressively also increases winnings at the same time influencing the opponents to make blunders. Mostly known as maniacs, these players are incredibly aggressive when betting and they play many hands. As a result, these players are the most conspicuous on the poker table and always appear to be in force. 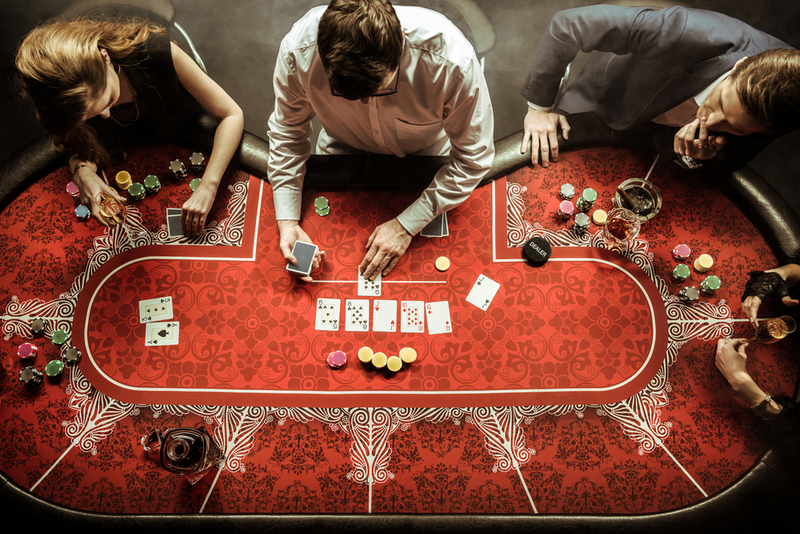 While they might play using weak starting hands, most of them always win because they have a habit of bluffing all the time and substantiate their bluffs using aggressive betting, making other players fold some good hands. Merely because these players play so aggressively and loosely, they are the most challenging to bluff. Tight and passive players play merely using good opening hands and hence play considerably fewer hands. Nevertheless, these players are not aggressive in betting, often checking or calling even when they have good hands. This poker playing style is disadvantageous in the long term since it doesn’t maximise your winnings when your hands are good. Moreover, tight and passive players are occasionally compelled by more aggressive players to fold some of their good hands. Loose and passive players are well-known to be the weakest type of players in poker. Beginners always fall into this classification. These players play excessively many hands, maybe because they lack basic knowledge about starting hands. By beginning with weaker hands, they always get beaten in face-offs. Being passive, these players bet modestly and occasionally raise the bets, and when they obtain good hands, they don’t succeed in maximising their winnings. Consequently, due to the weaknesses mentioned above, these players are often considered as marks or fish – delicious food for the card swindlers. If you want to be a good poker player, you should always adjust your playing style according to the stipulations of the game and the players present at the poker table. If you find yourself playing in an online casino UK poker table made up of very tight players, the best thing is to loosen up. However, if you find yourself at a poker table made up of aggressive players, the most successful strategy is to play a tight game, and you will catch them right in the act. In general, the poker playing style you adopt should allow you to play very profitably. If you get the impression that tight/aggressive style works fairer for you than the rest, then there’s no reason why you shouldn’t change. In the same way, if you are just a recreational player and you love playing passively instead of aggressively then that’s impeccably fine, and you should always be happy with your poker strategy. However, you should know that if you desire to increase your winnings, playing in an aggressive style would grant you your wish compared to using a passive way.